SOMERSET, NJ—(Laserfiche)—April 19, 2010—Laserfiche welcomes Business Automation Experts (BAE), LLC as an authorized value-added reseller (VAR) providing enterprise content management (ECM) solutions to customers in central New Jersey. Reduces the costs and inefficiencies associated with handling and storing paper charts. Simplifies compliance with regulations such as HIPAA. Streamlines back-office processes in departments including accounting, billing, credentialing and human resources. Laserfiche® creates simple and elegant enterprise content management (ECM) solutions that help organizations run smarter. 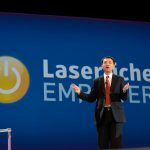 Since 1987, more than 28,000 organizations worldwide—including federal, state and local government agencies and Fortune 1000 companies—have used Laserfiche software to streamline document, records and business process management.